Get really nice results. From big jobs to modest jobs. They do it all. All kinds of repairs done fast. Neat and veteran local teams. Free cost estimates. Budget friendly rates. Your project will be great when it is over. Are there brand new ceilings and walls in the future at your North Orange County house? Maybe you have an existing wall or ceiling or two that doesn’t look so good. You want to get them patched or fixed so you can repaint them. Talk with a local contractor with a lot of experience in this field. They work for new construction jobs in addition to any kind of repair or renovation of existing properties. Many repair projects are because of either one-time accidents, continual rough behavior or damage from water. They commonly work with homeowners who are doing renovating projects. They can also do new construction jobs for contractors. 1. Deliver the gypsum drywall to the work location. 2. Install (or hang) the sheets onto the walls or ceiling. 3. Tidy up and get rid of garbage and unused material. 4. Tape the joint seams between sheets and put on joint compound to every joint area and screw head. 5. Smooth, finish, carefully sand and texture the surface areas. You can begin painting as soon as step five is done. Most property owners will have them finish the whole job, but once in a while, they ask to have them take care of just a few of the jobs. For example, if you would like them to just deliver it, install it up on your walls and ceiling, and leave the remaining processes for later, that’s something they can do as well. Some folks already have their walls and ceilings up, so they just need someone to complete the seam taping and finishing and getting it ready to paint. There are other products in addition to ordinary drywall. They put up stronger boards on walls where you would like to put on tile; and they have special moisture resistant boards for high humidity rooms. They’re flexible and they will work with your situation. Plumbing and accidents are the reason for many repair assignments. Appliances that use water and plumbing components can sometimes leak and harm floors, ceilings and walls. And sometimes people mistakenly put a hole in their wall. A property owner might attempt to deal with one or two small holes if those holes are not in a real prominent spot. Simple holes are covered with a patch and a layer of joint compound. A homeowner’s first try at applying a patch typically isn’t perfect, but it’s usually okay. If you learn you don’t have a talent for it, you can always call someone else to help out. Holes or dents that are in your primary rooms should be treated by a specialist. They have a lot of practice patching and concealing past damage. In the last day of a repair, they pay attention to the surface of the repaired or new finishes to ensure they match well with the surfaces of the present ceilings or walls in the rest of the room or house. Fixing or patching one or two different holes or dents. 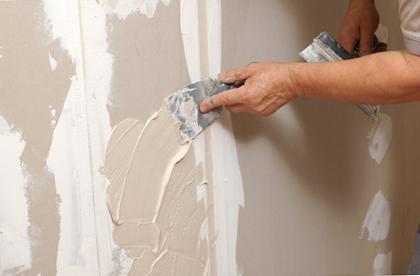 Repairing a few panels so related areas or room can get repainted. Eliminating and replacing sheets of drywall damaged by water or something else. Doing the removal and replacement of a big area or room. Commonly due to a water disaster or other event. No matter if your project is small or large, they get it done on time and under your budget. You may have a couple of decisions regarding the final finish they leave on your walls or ceiling. Fully unfinished – just taped, suited for unfinished work spaces or garages. Smooth surface finish – no extra texture, all ready for painting or wallpaper. Basic texture – can provide some extra dimension. Complicated texture – requires additional troweling and is more challenging to do. Texture match – make your replacement materials match your original ones. Was your house built with that sprayed-on popcorn ceiling surface? They will take off your unwanted, messy popcorn ceiling texture and replace it with a fresh, smooth one. Talk with a local OC company that provides interior ceiling and wall remodeling projects. 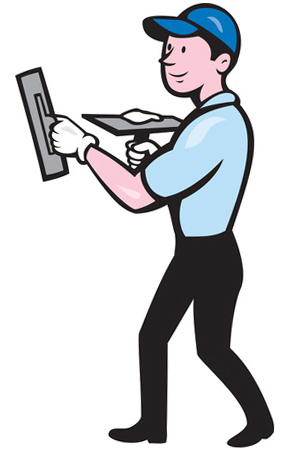 They will do their very best to supply the best work possible for a fair cost. They put in only durable materials and utilize the tools and gear that lets them get your activity successfully completed as quickly as possible. They do their best to hold the mess down and protect your home and property from dirt and dust. Once the project is finished, they try to pick up as well as they can and take all the rubbish. They handle a variety of home improvement jobs from expensive custom residences to simple repair projects and multiple family or business buildings. They work with homeowners, commercial property owners and local contractors. Just let them know what your situation is. They can provide a cost estimate. The cost of the project could depend on some different factors, but it is usually directly related to the amount of labor and materials they need to devote to get the job finished. While they can’t usually drop by a prospective project site and deliver an estimate in person, they will frequently supply a decent estimate if you give them a phone call. If you don’t have another plan for the painting part of the job, they can handle the painting portion as well. Some California homeowners can do their own painting. Others choose to hire a different painter. Whatever you want to do is fine. Can You Work in My Neighborhood? They work in many of OC neighborhoods such as those near Hare High School, Santiago High School, Bolsa Grande High School, Pacifica High School, Chapman Avenue, Lampson Avenue and West Garden Grove. Call if you’re anywhere near Hare High School, Santiago High School, Bolsa Grande High School, Pacifica High School, Chapman Avenue, Lampson Avenue and West Garden Grove.